Terrell Davis is a former running back for the NFL who played for the Denver Broncos from 1995–2001. Davis was the NFL rushing yards leader in 1998 plus he is two-time NFL rushing touchdowns leader for 1996 and 1998. Davis is a two-time Super Bowl champion for Super Bowl XXXII and XXXIII plus Super Bowl XXXII MVP. He is three-time Pro Bowl selection for 1996–1998 plus three-time First-team All-Pro for 1996–1998. Davis also was named NFL Most Valuable Player for 1998 plus two-time NFL Offensive Player of the Year for 1996 and 1998. Terrell Davis was inducted into the Pro Football Hall of Fame in 2017. Sports Speakers 360 is a booking agent for pro athletes. 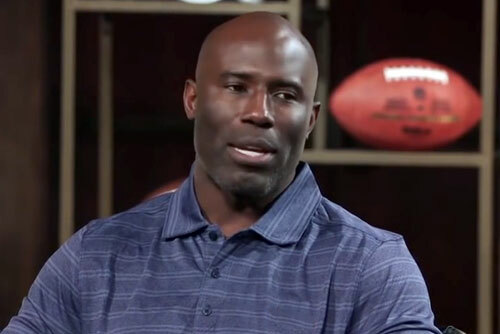 If you would like to book Terrell Davis for a speaking engagement, appearance or endorsement, contact a Terrell Davis booking agent for fees at 1.855.303.5450.